A brass oval handle that would suit the modern or period home. 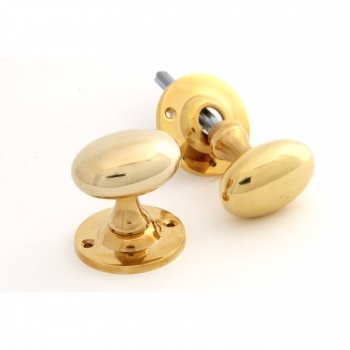 These handles are aged and polished to provide a soft finish which will compliment both painted and wood finished doors. Every detail is reproduced faithfully in our brass door knobs and the handle has a wonderful patina of use and age.